Yup, it's been a crazy day, but I didn't want to leave all of you who enjoy Mingle Monday Blog Hop to miss out! If you could find it in your big heart to pass the Mingle word along... I will love you forever and ever and ever... and ever. Excited to go check out your blog, dolls! 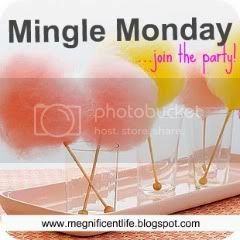 I love Mingle Mondays...can't think of what I would change! I used to participate in Mingle Mondays but I took a long break! But I'm back and getting back into the swing of things! Nothing I would change about Mingle Mondays! Thanks for hosting as always! Might be fun to have a guest host every once in a while! 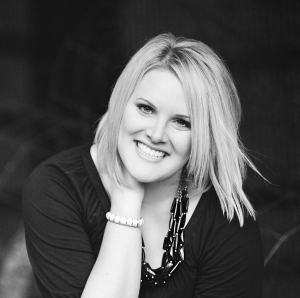 Fun way to get loyal link-up-ers names out there! Thanks for hosting again! I don't think I would change anything about Mingle Monday--obviously I love it! It's such a great way to discover new blogs =) Have a good week! Gulp! I just found your blog and linked up...so I would change nothing about the last ten minutes. :) Thanks for hosting! I wouldn't change anything! Thanks so much for hosting! I've been away from Mingle Mondays for a while and I've missed it! Glad to be back. I wouldn't change a thing either...I love having an easy way to check out such cool blogs from other people! Happy Monday everyone! I like what you've got going on =) Keep it!! Valetine DIY - Guest Posting!